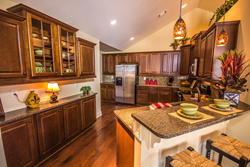 Spacious kitchens with plenty of cabinets and countertop space. A professionally managed company maintains the exterior of each home as well as performing tedious chores such as snow removal and lawn care, including mowing, weed control and fertilization. It’s not an uncommon apprehension that buying a ranch home will mean sacrificing on space. Fortunately, Wilcox Communities offers luxury ranch models throughout the Midwest and Southeast with expanded living space options. Homeowners wishing to customize their new home and increase the home's living space can choose from a variety of options that may include a finished basement, sitting room, covered porch and/or 4-season rooms. The flexibility and variety homeowners have with a new Wilcox home goes beyond selecting paint and hardware finishes. The Palazzo, Portico and Promenade models in the Courtyard Series of homes range in square footage from 1,500 square feet to almost 3,000 square feet. Each comes standard with 2 bedrooms, 2 bathroom and a spacious 2.5-car attached garage. Also standard is the private courtyard, which may be expanded to include a covered porch area, screened-in porch or a space converted into a sitting room. Models in this Courtyard Series also allow for the option to add a basement, a bonus suite located off the owner's suite, and even a 4-season room accessed from the main living room. 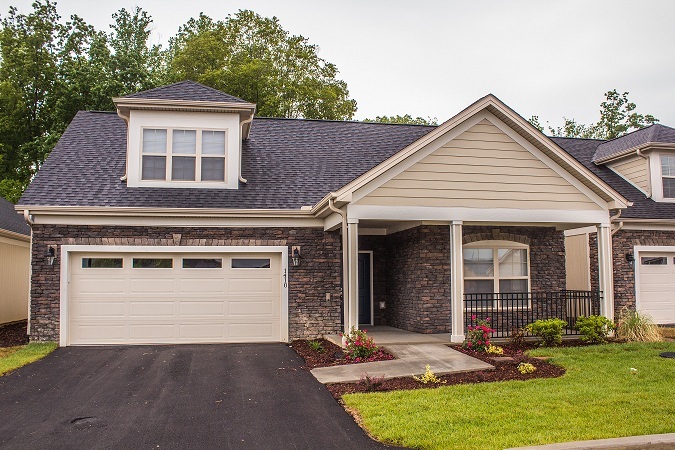 The Canterbury model, part of the Cathedral Series, also offers the opportunity for expanded living space. The den/office space in the Canterbury can be customized to become a third bedroom and the Canterbury's veranda also can be upgraded from a 3-season room into a 4-season room. After the space has been expanded and the details have been refined, Wilcox still has more perks to offer: Every model, whether a Courtyard or Cathedral Series, is a maintenance-free home, designed to allow homeowners more time to enjoy life. A professionally managed company maintains the exterior of each home as well as performing tedious chores such as snow removal and lawn care, including mowing, weed control and fertilization. A family-owned company, Wilcox has developed more than 25 active lifestyle communities in seven states. Offering high-quality homes situated in scenic, planned neighborhoods, each Wilcox community features an exclusive community clubhouse, fitness center and many include an outdoor, heated pool. Each community also includes picturesque walkways and ponds and ideal location near local shopping, dining and entertainment. For more information regarding Wilcox Communities, location of neighborhoods and to view model floor plans, visit http://www.WilcoxCommunities.com. Maintenance-free single family homes offer cottage style curb appeal. 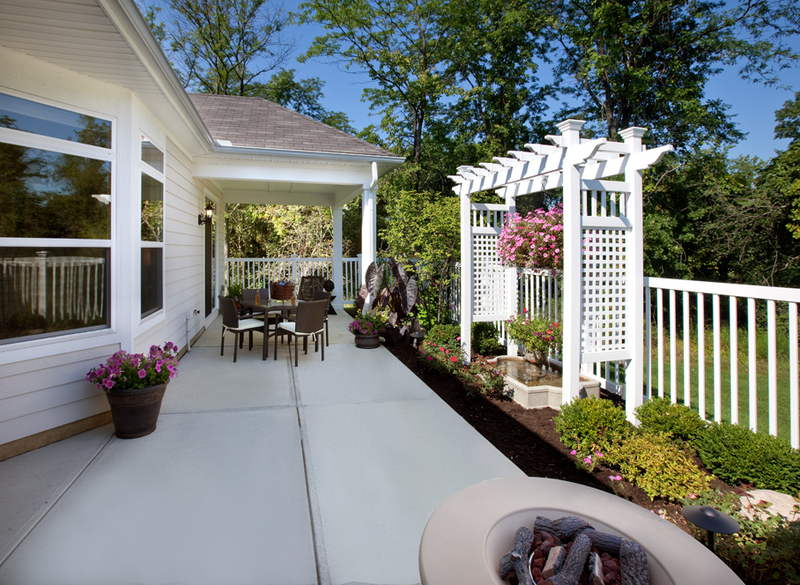 Personalize a private courtyard by adding a water feature, firepit or grilling station.